Zermatt is the place to go for skiing and snowboarding both in winter and summer. 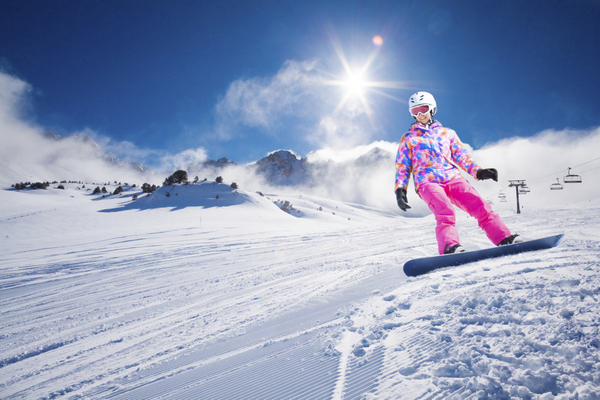 Whether you are a snowboarding maven out to venture into the arena of skiing, a professional skier wishing to explore the thrills in snowboarding or a complete newbie in snow-sport adventures, both these sports can endow you with hours of ultimate thrill. Both sports are based on the concept of conversion of potential energy to kinetic energy when the flat surface goes down over the snow with great force creating heat thus melting snow. So if you are determined to hit the enormous swathes of the snow-capped mountains and indulge in some real exhilaration and fun, here are the basics of the two snow-sports for you. Skiing embraces the recreational snow sport whereby the skier slides down along the snow-enveloped hills and valleys by attaching skis to the boots and props oneself up and down the hills with the help of two poles in two hands. Skiing requires less pressure than snowboarding since skiers are propped up with the help of poles which aid in smooth movement whether downhill or mounting up or even when they are maintaining an upright position. The sport began as a means of transport and continued to be so till 1860 post which it became popular as a competitive, recreational and exercising activity. The International Ski Federation regulates various types of recreational and competitive skiing activities throughout the year. Some of the popular ski types include Alpine skiing, Nordic Skiing, Back-country Skiing, Biathlon, Cross-country Skiing, Free Skiing and Freestyle Skiing, Heliskiing, Skijoring, Ski Mountaineering and Ski Jumping. If you are seeking to send your adrenaline high with awesome speed skiing is just the sport you would want to indulge in as a winter sport activity. Zermatt has extensive off-piste areas with large and seldom skied fields of untouched snow. And thanks to Zermatt’s extremely high altitudes and abundance of north facing slopes, powder snow can still be found many days after it falls. Huge areas of both powder and spring snow can be found off piste during Spring. Note that many of Zermatt’s best and largest off piste areas are several kilometers away from marked runs, so they are not easily found and can be very dangerous to ski alone. It is best to take a local ski guide if you want to explore Zermatt’s best off-piste areas. Snowboarding came into vogue as a sport influenced by surfing, sledding and skateboarding as well as skiing and comprises similar descending along the snow-covered mountain slopes like the above sports. Here the snowboarder uses a snowboard that is attached to the special boots seated atop a pedestal and does not come harnessed with any poles. The roots of snowboarding goes back to the 1920s when men would attach pieces of plywood or planks of wood with horse reins or clothesline to their feet and traverse down-hill with the help of these. It was only in 1965 that real snowboarding blossomed out of the innovation of Sherman Poppen who created some sort of toy skis by tying a rope to one of their ends for his daughter. 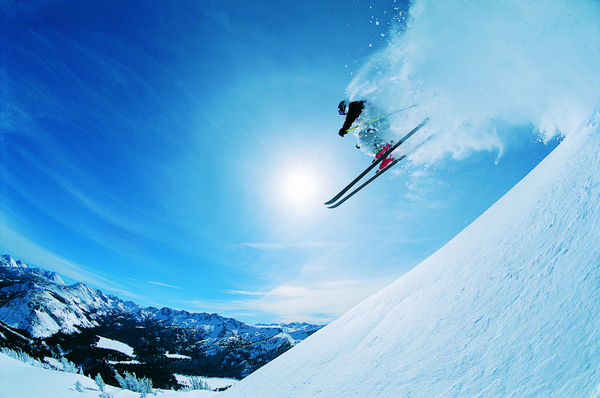 Snowboarding today takes up a variety of forms such as: Urban, Half Pipe, Freestyle, Boardercross Race and Freeriding. Zermatt offers snowboarding areas for both beginners and experienced snowboarders. Zermatt has plenty of superb open terrain, as well as two snowboard parks and two man made half pipes, one at Blauherd, the other between Trockener Steg and Furgg. Snowboards are welcome on all lifts and 99% of the pistes.